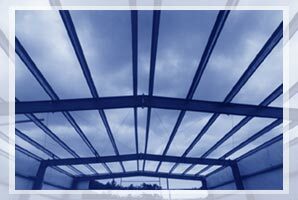 Located in west Little Rock, in the heart of Pulaski County, Structural Design Concepts, Inc. is a structural engineering design and drafting firm providing value engineering services to the industrial, commercial , residential industries. The Company was founded in 1999 to assist the building designer, and contractor satisfy the more stringent code requirements introduced by the new seismic design provisions. The Company continues to educate itself in changing code provisions and local agency interpretations so we may develop design and detailing solutions which meet both criteria. Structural Design Concepts, Inc. has a proven record of producing agency approved design solutions in all over the nation. we have also expanded into the field of specialized software design. We have created numerous software packages for the engineering field. One of which is our software package "Crane Beam Design". With this package you can create custom calculations for any crane beam project you desire. Simply enter a few pieces of data, and you the program will provide you with everything you need to implement a crane system in your structure today. We also create custom engineering applications designed to meet the needs of our fellow engineers. Copyright © 2008 Structural Design Concepts, Inc., All rights reserved.